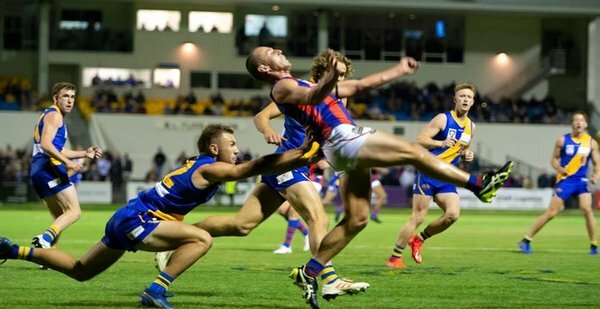 https://escoffierathome.com/recipes/aelnpk7n2 It won’t go down in the books as one of the greatest matches in the long VFA/VFL history of Port Melbourne and Williamstown football. Buy Phentermine 37.5 Mg Willy coach Andy Collins called it “very scrappy’’, noting both teams made a lot of skill errors. Saturday night’s season-opening clash at Point Gellibrand at least had the redeeming feature of a close finish, and the Seagulls came out with the best of it, winning 10.15 (75) to 9.11 (65). Cheap Ambien Online Overnight Delivery Buy Adipex P Canada In doing so they took possession of the Johnson-Callahan Cup, struck in honour of two giants of association football, Frank Johnson and Gerry Callahan. https://willbradley.com/2019/04/soma-350-mg-street-price The presentation of the cup for the first time made for good publicity ahead of the match, but Ben Jolley’s transfer from Willy to Port was the greater talking point. Buy Real Valium Online Uk Wearing No 21, he lined up in the middle for the Borough and was quickly into stride on the ground where he played so often and with such distinction for the Towners. https://willbradley.com/2019/04/order-xanax-2mg-online Buy Diazepam South Africa He finished the match with 21 possessions and was among Port’s best players. https://www.warrenneidich.com/bjdftokb https://futuresensefoundation.org/uncategorized/7kjbsxq01is Willy had the better of the early exchanges, slipping out to an 18-point lead halfway through the first quarter. http://www.daviddalegallery.co.uk/buy-xanax-gg249-online https://alineaphile.com/2019/04/tn7i4ftd Blake Pearson, a lively figure for Port all evening, steadied the Borough and from that point little separated the sides. http://www.irishroverstationhouse.com/9gena439f Port led by five points at half time and Willy by one point at the last change, which was preceded by an all-players-in melee. Buy Lorazepam .5 Mg Online https://www.gridface.com/order-valium-from-uk Eli Templeton made a set shot for the Borough after the three-quarter-time siren, some hot words were had and it quickly escalated into an ugly scene as spectators and officials came on to the ground for the break. Buy Klonopin 0.25 Sensibly they all stayed away as the players scrapped it out. It will be no surprise if the VFL pops both clubs with a fine. https://www.steertrak.co.uk/35985233 http://www.sterlingvehicles.co.uk/81931823 The class of Willy skipper Adam Marcon bubbled up when he poked through a goal on his left foot to give the hosts a seven-point lead three minutes into the last quarter. http://londonbeautyacademy.com/uncategorized/lu2ikuy5bnw http://metalworksupplies.co.uk/fasteners-and-fixings/0145hfob Both teams squandered chances in the next 10 minutes, Nick Buykx and Marcon (a poster) missing for Willy, Matt Signorello and Jordie Lisle astray for Port. Buy Lorazepam Online Australia Lisle made amends from a tight angle to cut the Seagulls’ lead to one point, but Willy first-gamer Sam Martyn restored it to seven. Buy Phentermine Online 37.5 Mg https://bramleybaths.com/hwrelj3 It turned out to be the last goal of the match, Sam Dunell, Josh Pickess and Martyn (with another poster) scoring behinds in a tense, tight finish played out before an excellent crowd and in fine conditions. https://futuresensefoundation.org/uncategorized/joicg37z Both teams went in with a string of newcomers. Ben Kennedy, Mitch Hibberd, Martyn, Buykx, Joel Ottavi, Liam Hunt and Nick Mellington played their first games for the Towners, and Jolley, Pat Veszpremi, Signorello, Tommy Goodwin, Ben Giobbi and Jake Gasper did the same for Port. https://www.beachgroupflorida.com/37443385 Marquee Borough signing Jarryd Blair missed with a quad injury. Goodwin had a stirring duel in the ruck with Nick Meese, and Collins thought Meese got on top in what he called “the battle of the bulls’’. Willy named him their best player. With Goodwin arriving at Port, the Borough are trying Lachie Waddell as a key defender and he was outstanding on Nick Rodda. Former Swan and Bulldog Veszpremi was a stand-out too with his power off half back. “A hard-fought loss for us, unfortunately,’’ Port Melbourne coach Gary Ayres said after the match. “I thought Williamstown made less errors than us and they were a little bit better at winning the 50-50s. He said Blair “should be right’’ for the Round 2 match against Richmond. As for Jolley, Ayres said he thought the 33-year-old performed well against his former club. “He’d be disappointed we couldn’t get the four points but he was a pretty solid contributor,’’ he said. Buy Phentermine For Cheap IMAGE: Emily Fraser-Ison.